The recently deceased Alan Whicker, was one of my travel idols….the true Travelman, worldly streetwise, approachable, sensitive, likeable and most definitely the master travel guru of gurus, who I had the pleasure of both working and socialising with. Known for his globetrotting television series ‘Whicker’s World’ in which he interviewed rich and poor, famous and not so famous people. He also spoke to some weird and wonderful characters from around the world which made it such a great programme. Alan Whicker firmly believed in arriving at a destination feeling ‘curious, fascinated and ready for a new adventure”. 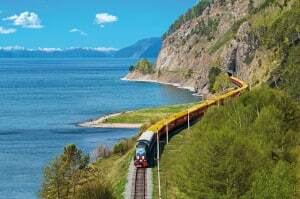 A true traveller, perhaps the ultimate ‘Travelman’ even at the age of 87 when he sadly died on the 11th July 2013 after suffering from bronchial pneumonia. 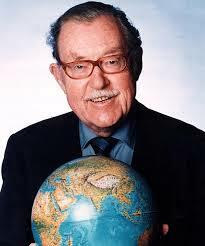 I first met Alan Whicker at a travel function in London during the mid 1990’s. We had both arrived late and we got chatting straight away. Well you would wouldn’t you?! Anyway, one thing led to another and before returning home that night I had arranged to join him for breakfast the next morning at his hotel in Knightsbridge to discuss ‘marketing opportunities with my company Bridge the World. Within a month Alan had agreed to endorse Bridge the World as the number one travel specialist for round the world itineraries and tailor made holidays to Australia. We even used his distinct and most memorable voice to record Bridge the World’s answer phone message…what a coup! 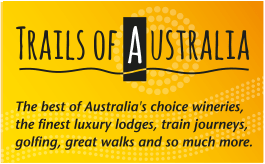 Our eye catching campaign abtly named, ‘AUSTRALIA…Didgeridoo it for LESSAWONGA!’ was a massive success as we were also able to bring to the table Tourism Australia and some of the Australian State Tourism Offices for additional joint marketing funding. ‘It was largely as a result of Alan Whicker’s involvement in this UK Australia campaign that included newspaper and magazine advertising, a direct mail piece, brochure endorsements and answer phone recordings, that Bridge the World really took off into the big league here in the UK” says Jerry Bridge. 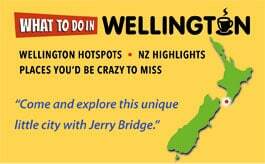 Jerry Bridge’s marketing coup with Alan Whicker – happy days.. I was lucky enough to see Alan Whicker a few times over the years and even visit him in his home on the island of Jersey. Happy days, happy memories. So, Alan Whicker, not to be confused of course with my old business partner David Wickers from Bridge and Wickers World of Travel, has travelled on….our thoughts and best wishes go to his partner, Valerie Kleeman, his family, colleagues and friends – Jerry Bridge.